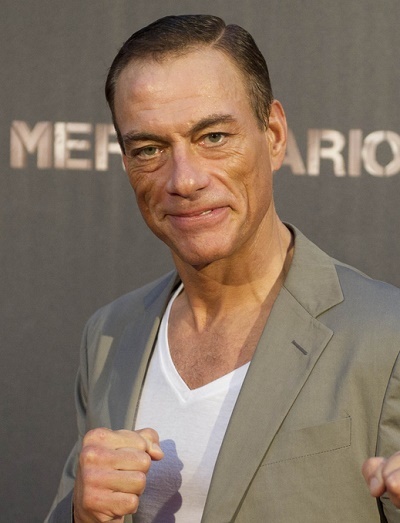 Jean-Claude Van Damme is a Belgian actor, martial artist, screenwriter, film producer, and director. Jean-Claude is the son of Eliana and Eugène Van Varenberg. Jean-Claude’s birth surname, Van Varenberg, is of Flemish [Dutch] origin, so he is likely of at least part Flemish Belgian descent. Jean-Claude has stated that his paternal grandmother was Jewish. Jean-Claude has three children, two with his wife, bodybuilder Gladys Portugues, and one with his former wife, actress Darcy LaPier. His children with Gladys are actors Kris Van Damme and Bianca Brigitte Van Damme. there was a magazine where he talked about his childhood being not so strong…. oh wow even VAN DAMME has Jewish roots !!!!! !